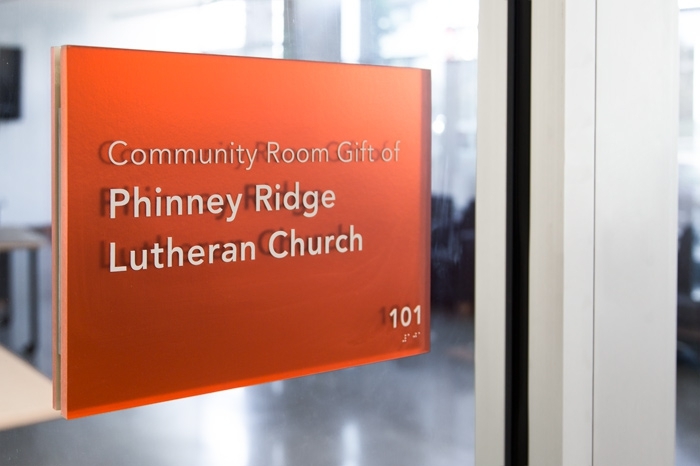 In the Lutheran tradition of caring through serving, Compass Housing Alliance offers unique services and structured programs that promote the dignity of each person and leads individuals from homelessness to independence and healthy community life. 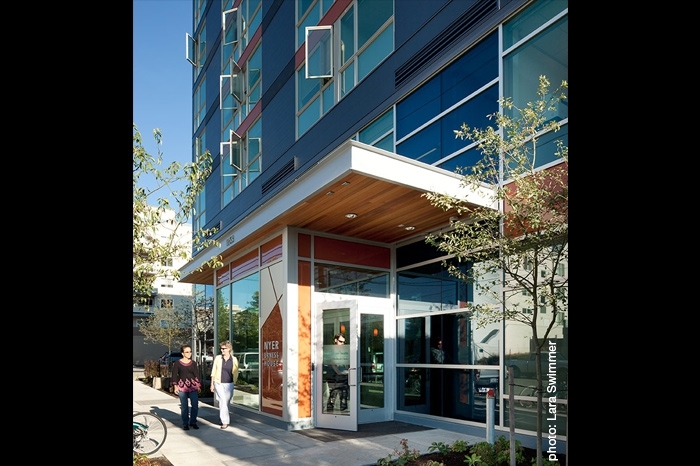 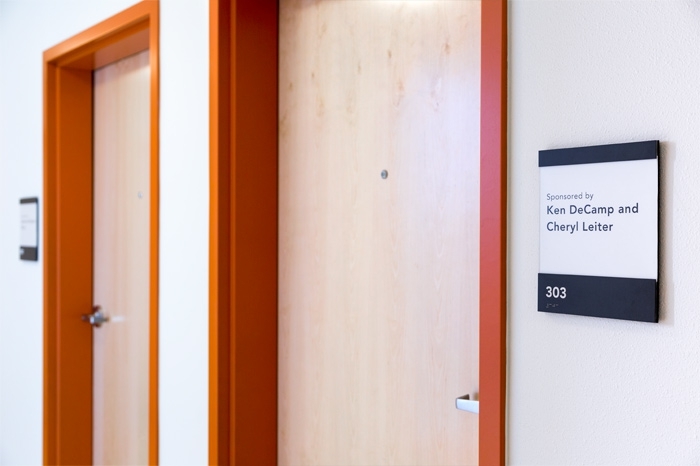 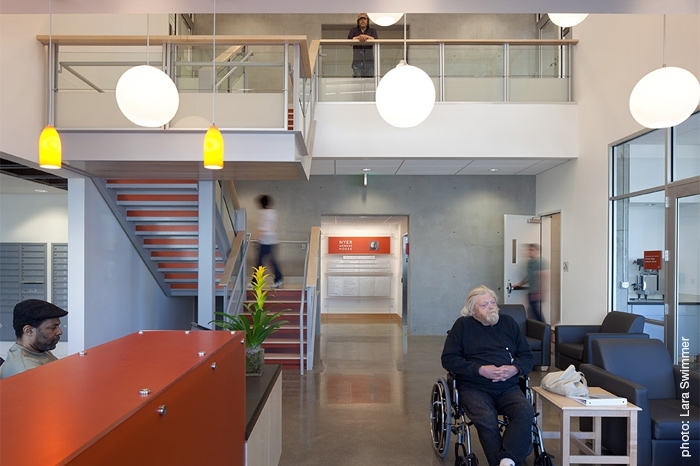 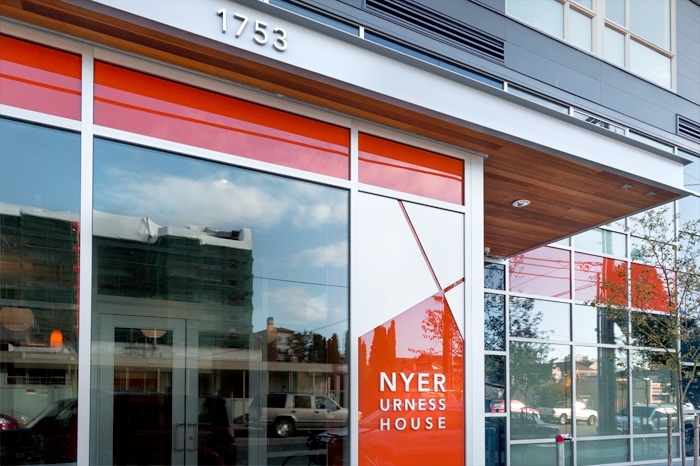 To follow through with their mission, they built Nyer Urness House to provide formerly homeless adults in the heart of Seattle’s Ballard neighborhood with a safe and comfortable place to live. 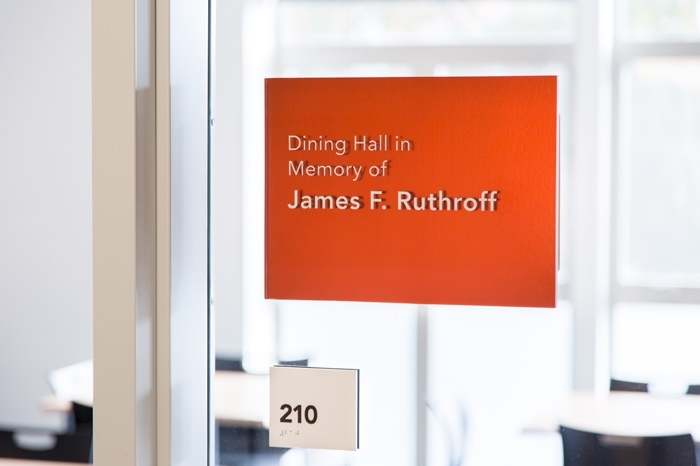 The building designed by Weinstein A|U is filled with light and a simple bright palette of modern materials. 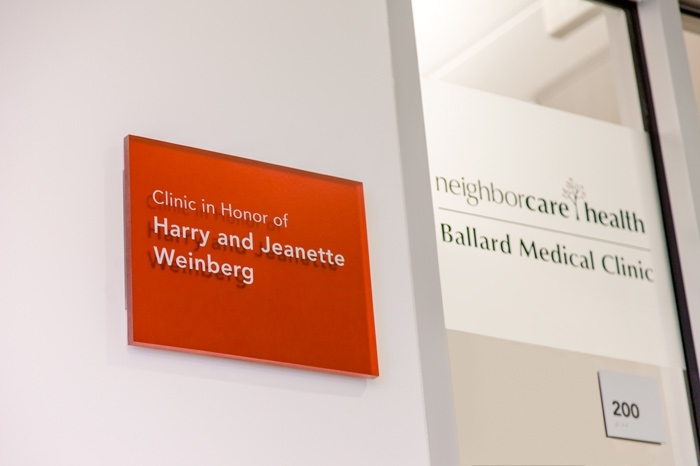 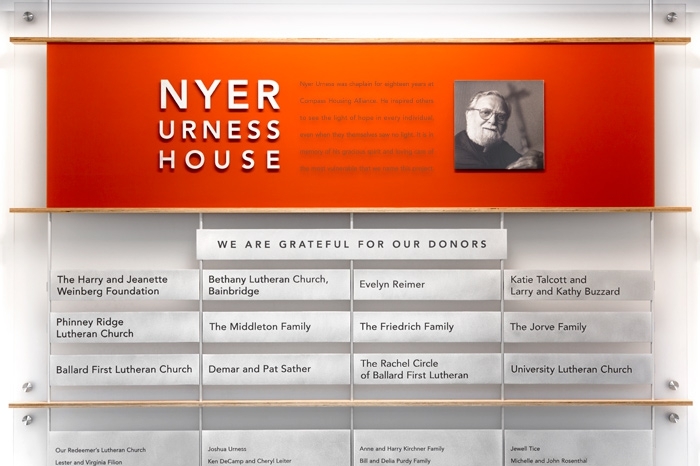 Drawing upon this design language, Nyer Urness House donors are honored throughout the building on commemorative signage at main rooms and featured together on a Donor Wall display in the entry lobby. 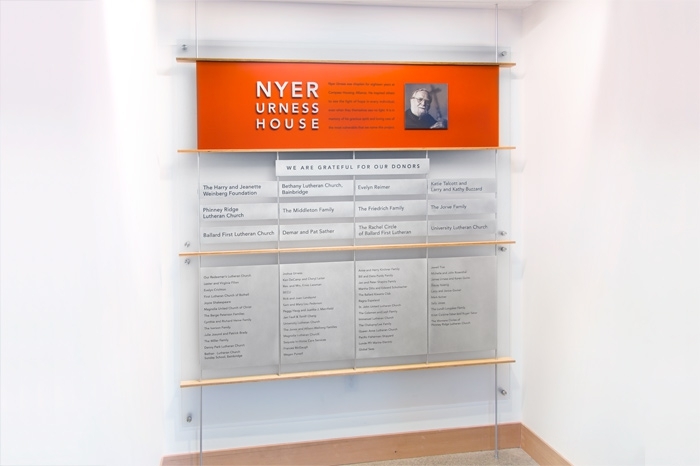 The Donor Wall and building dedication to Nyer Urness are presented with etched metal panels displaying the names of all those who generously gave to the project. 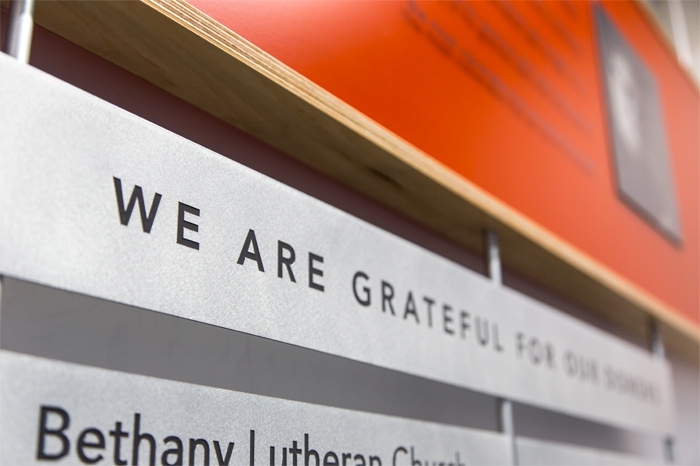 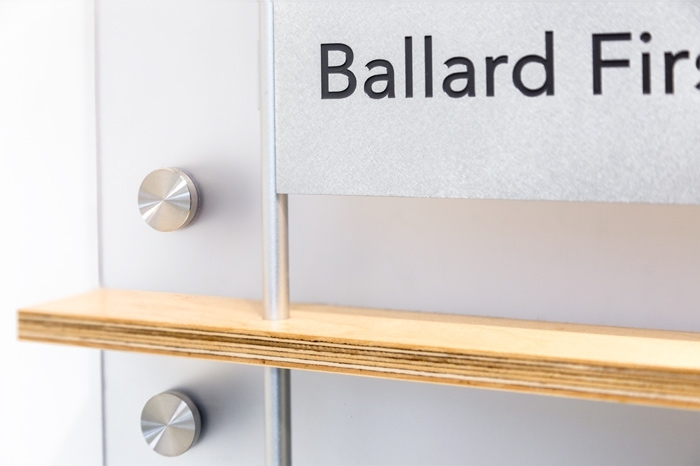 In one wall display, these lightweight materials are consistent with the modern appeal of the lobby space, using colored resin, natural finish maple apple-ply and simple metal fasteners. 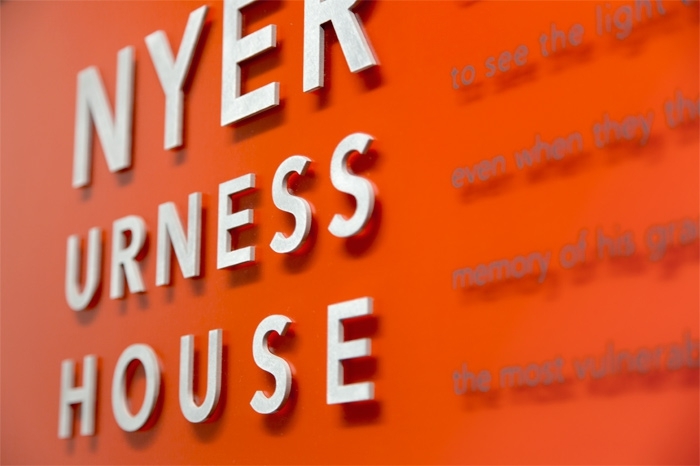 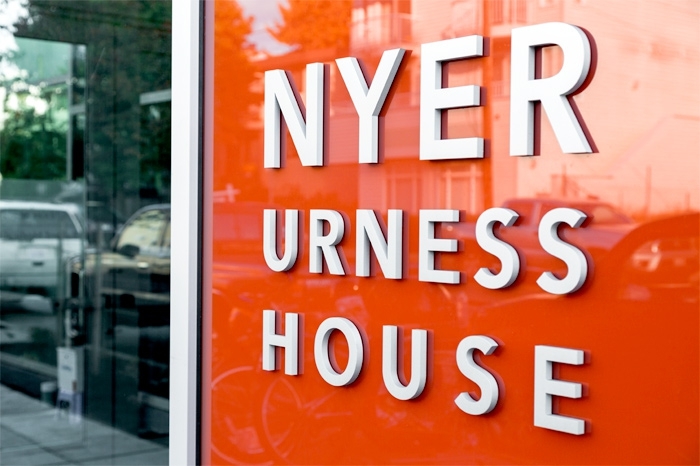 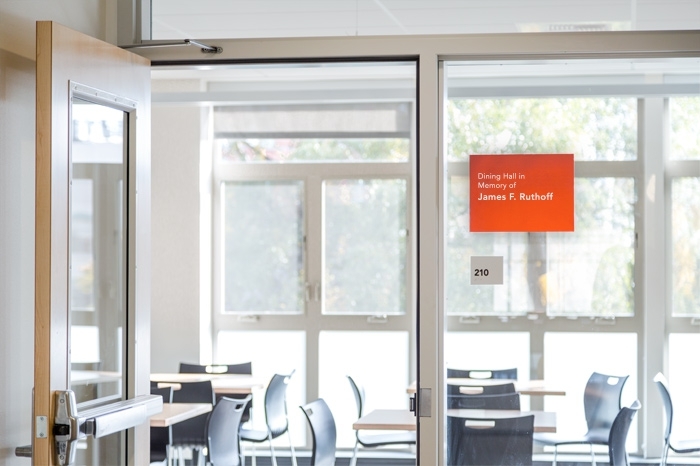 On the exterior of the building, the use of dimensional metal lettering and color glass come together as the building entrance name to welcome all to Nyer Urness House.